On Saturday, December 1st from 11:00 AM to 4:00 PM, Edward Nader and Margaret Love along with Bonne’ Summers will be hosting our annual, “Bloody Mary Event”. 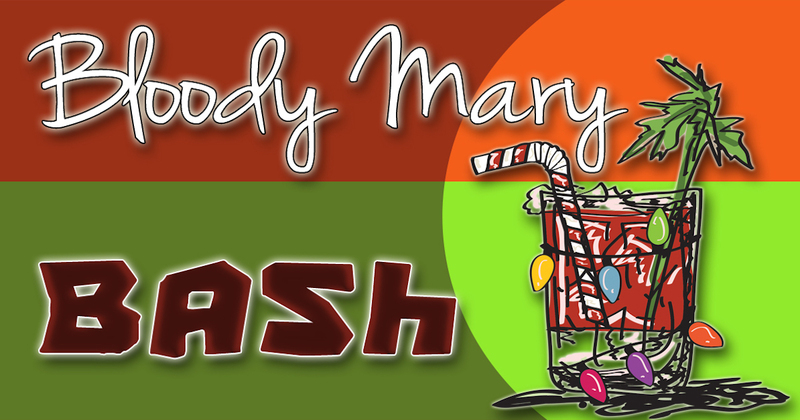 This year’s annual Bloody Mary Bash is dedicated to the memory of Jon Summers who always enjoyed this event as his way of helping to make spirits (literally and figuratively) bright! During this years event we will also be collecting donations to benefit two local non-profit organizations, the U. S. Marine Corps Reserve Toys for Tots Program and the Food Bank of Northwest Louisiana. If you feel moved to support either of these programs please bring your donation to the gallery. The mission of the U. S. Marine Corps Reserve Toys for Tots Program is to collect new, unwrapped toys during October, November and December each year, and distribute those toys as Christmas gifts to needy children in the community in which the campaign is conducted. The primary goal of Toys for Tots is to deliver, through a new toy at Christmas, a message of hope to less fortunate youngsters that will assist them in becoming responsible, productive, patriotic citizens. Bring a new, unwrapped toy to the gallery to support this program. The Food Bank’s vision is to ultimately end hunger in Northwest Louisiana by ensuring consolidated network of effective food collection and distribution, which will provide universal access to food for the needy in our communities. To support this program bring any of the following “Most Needed Items” to the gallery. Come have a cup of red cheer and mix and mingle in a beautiful holiday setting with old and new friends. This party is always THE event of the season!